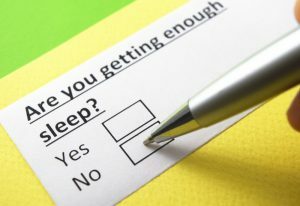 The results of numerous clinical studies underscore the importance of getting a good night’s sleep on a regular basis. In fact, it’s an undisputed fact that lack of sleep can adversely affect overall health in a myriad of ways. Now, the latest findings suggest sleep deprivation linked to social isolation. Here, we will examine the importance of sleep, the causes of sleep deprivation, the impact it can have on the body and the results of a study connecting lack of sleep to social isolation and loneliness. Obtaining an adequate amount of rest is vital to your health. Sleep impacts numerous bodily systems, including the cardiovascular, digestive, metabolic, respiratory and immune systems. In addition, getting a proper amount of sleep is necessary for the optimal functioning of cognitive faculties like concentration and memory. Moreover, sleep is mandatory for the body to heal and repair itself. It is a scientific fact that most individuals do not get enough sleep. A research study conducted by the National Sleep Foundation concluded that seven to nine hours per night is the average healthy amount most adults need to properly function. Children and newborns require significantly more. Chronic sleep loss could precipitate the buildup of systemic inflammation. Inflammation within the body’s cells, tissues and organs can elicit pain and make one more susceptible to physical injuries. If left unchecked, chronic inflammation might eventually lead to significant ailments like diabetes, immune system disorders and various kinds of cancer. Long-standing sleep deprivation is thought to age the brain of afflicted persons by anywhere from three to five years. These rapid changes within the central nervous system could hasten cognitive decline and potentially render impacted individuals more susceptible to the development of brain ailments like dementia and Alzheimer’s disease. A chronic lack of rest inhibits the body’s ability to repair itself. Not getting enough sleep can weaken the immune system, which can result in an increased number of bacterial and viral infections and ultimately lead to more serious complications like cancer. Sleep deprivation can precipitate the onset of high blood pressure and elevated blood concentrations of “bad” cholesterol in the bloodstream. Either or both events may contribute to an increased risk of developing cardiovascular problems such as heart attacks, strokes and blood clots. The inability to sleep often exerts a profound impact upon one’s mental state. Insomniacs are more likely to develop disorders like anxiety and depression. Insomnia can disrupt healthy hormone balance. Those who do not get enough sleep often experience an elevated systemic release of insulin (an appetite-stimulating hormone) and a subsequent decrease of the appetite-suppressing substance called leptin. This type of chemical imbalance typically leads to increased caloric intake, which can eventually result in significant weight gain and body fat accumulation. What might be a surprise to some is that a lack of sleep could also impact one’s social capabilities. A team of scientists representing the University of California at Berkeley originated this hypothesis, and recently engineered a related study to test its viability. The researchers concluded that not only can insomnia limit a sufferer’s social interactions but it can also render them less appealing to potential social contacts. In the study, scientists recruited 18 healthy adults and divided the test subjects into two separate groups. The first group was instructed to sleep through the night. This second group was forced to remain awake for the evening. Participants were subjected to brain scans and written assessments gauging their state of loneliness. During the study’s first phase, researchers carefully monitored each subject’s brain activity as he or she viewed videos of people approaching, exhibiting neutral facial expressions. Participants were instructed to pause the video when they felt uncomfortable with the proximity of the person on screen. The first phenomenon researchers discovered was that the sleep-deprived participants tended to stop the video sooner, becoming uncomfortable with the person on screen’s physical distance much sooner than their non-sleep deprived colleagues. Brain scans showed that the subjects who were forced to remain awake also experienced increased activity in a portion of the brain known as the near space network. This region is activated when individuals feel threatened. Moreover, subjects who lacked adequate rest exhibited diminished activity in the reaches of the brain known as the the theory of mind network, which helps us gauge the intent and emotions of others. In another stage of the study, researchers employed more than 1,000 individuals to observe the behavior of the sleep-deprived subjects. The observers were asked to watch videos of the insomniacs. While viewing the sleep-deprived participants, a majority of the observers claimed to experience feelings of isolation as well. These findings might suggest that feelings like isolation could be contagious. The observers were also required to complete a survey expressing their own opinions of sleep deprivation. A solid percentage of those surveyed supported the preceding hypothesis by claiming that a lack of sleep often renders them less social than when they are functioning under optimal circumstances. The most effective way to avoid the social or any other manifestations of sleep loss is to execute preventative measures. Insomnia can be brought on by a variety of causes including, but not necessarily limited to, stress, unconventional working hours, aging or underlying medical illness. Identifying the cause of sleep deprivation could be the first step in pinpointing the most appropriate remedial measure. In instances where sleep disturbances can be attributed to a medical condition, the proper medications or appropriate corrective procedures might remedy the insomnia. However, when sleeplessness is caused by issues such as stress, several natural therapeutic protocols can be employed, such as creating the most comfortable environment (temperature and darkness) for sleep, engaging in a relaxing hobby prior to bedtime, avoiding food consumption during the evening hours, placing one’s phone away from the bed or night table, exercising, supplementing diet with sleep-inducing nutrients and purchasing a more comfortable mattress.